1. Back to business: The SEC is off Elon Musk’s back. Now he and Tesla can return to that other pesky problem — making and selling cars. Tesla will turn in a critical production report on Tuesday that will show investors whether the company can sustain and surpass its long-promised target of building 5,000 Model 3s per week. That report will go a long way toward determining whether Tesla (TSLA) can fulfill Musk’s pledge to turn a profit in the third and fourth quarters. Since it went public, Tesla has recorded only two quarters in the black. It posted the largest loss in its history in the second quarter as it cranked up production to clear the 5,000 bar in the last week of June. That seems like a long time ago. In early August, Musk sent the tweet that led to his tangle with regulators — a cryptic announcement that he had “funding secured” to take Tesla private at $ 420 per share. The SEC said he had no such thing, and sued Musk last week for misleading investors. 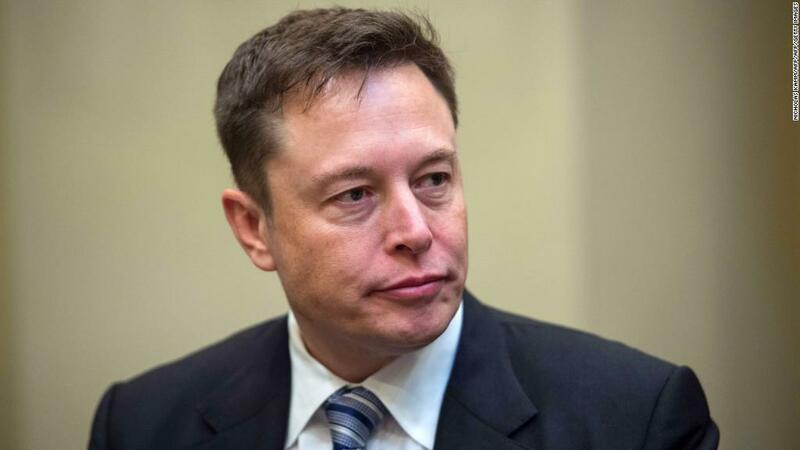 Under a settlement announced Saturday, Musk agreed to step aside as chairman for three years, and he and Tesla each agreed to pay $ 20 million fines. Musk neither admitted nor denied wrongdoing under the settlement. The SEC lawsuit may be behind him, but Tesla still has some serious IOUs coming up. A total of $ 2.7 billion of Tesla debt is due this year and next, according to Goldman Sachs. That’s one reason the production and profit targets are so important: Tesla needs the cash to pay down all that debt. The markets have reflected investors’ worry. Tesla bonds maturing in August 2025 traded at 84.5 cents on the dollar on Friday, close to a record low. And Tesla stock has fallen 31% from its high in the hours after the ill-fated tweet. The stock may bounce back Monday, now that the uncertainty over Musk’s future is removed. But Wall Street still wants something else — results. 2. Jobs, jobs, jobs: Analysts expect another month of solid growth when the US Labor Department issues its September jobs report on Friday. More important may be the wage growth figure: Will it hit 3% for the first time since April 2009? If so, will that unnerve investors worried about an overly aggressive Federal Reserve? 3. Changing of the guard at Goldman: Lloyd Blankfein is ending his run as CEO of Goldman Sachs (GS) on Monday. He will be replaced by Goldman president — and part-time DJ — David Solomon. The investment firm’s stock is down more than 10% since beginning of the year. Solomon will need to deal with lower revenue from Goldman’s trading desk, which collects client fees to buy and sell bonds, commodities and currencies. 4. Earnings watch: It’s a relatively slow week for corporate reports, but among the notable names turning in results are Pepsi (PEP), Stitch Fix (SFIX), Bon-Ton (BONTQ) and Costco (COST). For Pepsi, this will be the last earnings report under CEO Indra Nooyi, soon to be succeeded by the company’s global operations chief, Ramon Laguarta. The stock could use a caffeine boost: It’s down 7% this year. 5. Rebooting business news: On Thursday, CNNMoney becomes the all-new CNN Business, covering the companies, personalities, and innovations driving business forward. This new initiative will focus on the single biggest financial story of our generation: how technology is upending every corner of the global economy, forcing businesses, workers, and society itself to adapt rapidly, or be left behind. How do you rebrand Papa John's when the problem is Papa John?